Sydney is fast becoming the city for maritime and naval education, with two new postgraduate courses aimed at strengthening Australia’s maritime and naval industry starting next year. Following the University of New South Wales' decision to suspend its intake for naval architecture under the bachelor of engineering degree, the Australian Maritime College (AMC) will expand its national reach through the delivery of two courses at an interstate study centre. AMC will offer a master of maritime engineering degree, targeted at engineering professionals already in the workforce who wish to develop a career in the technical management of maritime engineering projects, including those in maritime defence, naval platform development and autonomous underwater vehicles. The college will also offer an MBA in maritme and logistics management, a business-oriented program that equips graduates with a high level of understanding of the logistics and maritime industries and prepares them to undertake senior management positions in these industries. Both courses will commence from February 2018, with the possibility of a third degree in 2019 from the college's waterfront base at the Australian National Maritime Museum (ANMM). AMC principal Professor Neil Bose said the establishment of the interstate study centre would further strengthen the college’s reputation as Australia’s national institute for maritime training, education, consultancy and research, and offer opportunities for future strategic growth. "The establishment of this study centre helps to support our vision to inspire and shape the maritime world and strategically aligns with our student growth and industry engagement plans,” said Professor Bose. Professor Bose said the city's role as an operational hub for the Australian Navy, as well as its proximity to local ports and defence industry businesses, influenced the decision to base AMC's interstate study centre in Sydney. "Darling Harbour is an iconic location for the national maritime sector and Sydney is the centre of operations for the Royal Australian Navy, offering AMC prominent exposure to recreational, commercial and naval activities in the area," he said. "Establishing a local presence will allow us to strengthen ties with the surrounding ports, logistics, engineering and defence industries; as well as provide our students with access to internships and project work within those sectors. "This move enhances and consolidates AMC’s role as a centre of national excellence, anchored proudly in Launceston. We will see Sydney-taught master's students doing project and laboratory work in Launceston and the increased profile will have direct positive impact for student numbers in Tasmania." ANMM director and chief executive Kevin Sumption said the ANMM is excited to host the college's interstate study centre and provide opportunities for Australia's future maritime workers. "The Australian National Maritime Museum is delighted to welcome the Australian Maritime College to Sydney," said Sumption. 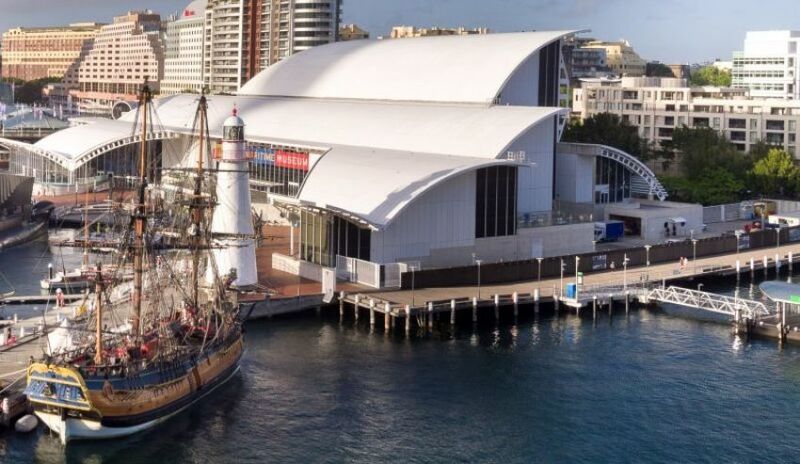 "As the national centre for the promotion and conservation of Australia’s maritime heritage and culture, it is a natural fit for the museum to partner with our nation’s leading institute for maritime education, training and research. "This centre will provide unique opportunities for the museum to use our historic fleet, collection and stories to connect with the future leaders of our maritime industry. We’re also very excited about the opportunities this partnership brings for our visitors to engage with living industry and what will be the heritage of the future."